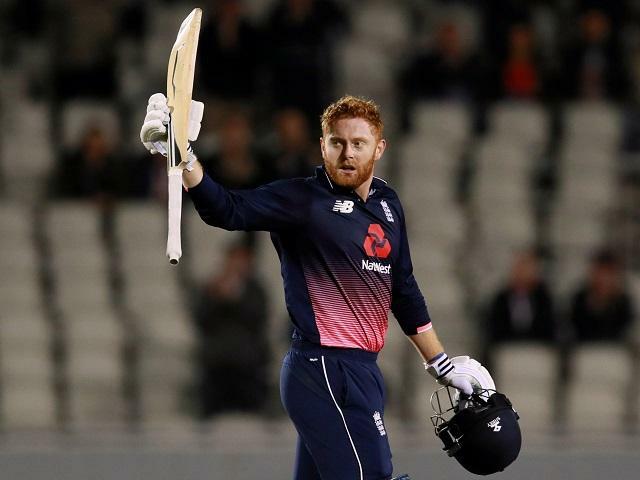 "Bairstow is 11/4 favourite and that is the sort of price you would expect for a man who has been in terrific form since being promoted to open"
Mismatches of the kind that will take place at The Grange on Sunday are a bettors' worst nightmare. The match odds market offers nothing apart from speculative and unsubstantiated punts on the outsider. The side markets are wide and varied but, frankly, a minefield of poor value. The number of variables seem to multiply with every statistical look as it becomes increasingly apparent it's not a fair fight and just when you think you have found a bet a thought pops in to your head which ruins everything. Here's an example of one. Preston Mommsen is a pretty capable batsman. In the last three years he averages 57. And he is rated at 5/1 for top Scotland runscorer. Bingo? Not quite. Pop! Mommsen, against the top eight sides, averages just 17. This makes it rather tough to call the 5/1 value with Betfair Sportsbook. Now, you could argue that because his team-mates do worse - and only one does slightly better, Richie Berrington - then it's a fair wager. But the rationale for such a wager is based on who is worst, rather than who is better (if you will), and that's a hard sell. In the top Scotland bowling market it is true that Brad Wheal and Safjaan Sharif are the best bowlers. Between them they have height and pace. They shared six wickets in defeat by West Indies in the World Cup qualifier. But there seems no edge for us with them both at 11/4. What we are eventually left trying to decide is how dominant England will be. That's no disrespect to Scotland, by the way, they have not given them a scare in the last four completed matches. The scenarios which run through the mind's eye include England batting first and going big. Or Scotland batting first and being reduced to 30 for four or some such. Any opportunities there? Maybe. In our match preview we have got with Jason Roy to top score because we believe he should be shorter than 7/2 as an opener. Roy should be capable of a score against a weaker bowling line-up and he gets a headstart on team-mates thanks to the chance to bat in a powerplay. Roy is challenged by Alex Hales for the opening berth but he was the man in possession in England's last outing - the series in New Zealand. Jonny Bairstow is a fixture. He is 11/4 favourite and that is the sort of price you would expect for a man who has been in terrific form since being promoted to open. The Yorkshireman started opening last summer and his sequence of scores (most recent first) in the top two read: 104-138-19-37-4-44-0-39-60-14-141-39-13-9-100-43. It's an average of 50.2 every time he goes to the wicket (not outs not included). Given these scores have come against better bowlers it is pretty easy to reckon that the 13/8 Betfair Sportsbook offer about a Bairstow half-century is worth an interest. If Bairstow and Roy have an advantage over their team-mates of scoring runs, can we same the same about the bowlers? Should the new-ball pair be backed for top wicket-taker glory? In the midst of visions of top order Scotsmen struggling against the pace and movement of a top flight side, yes. But unfortunately the bookies think the same. And there is not one England bowler who is the wrong price, statistically. They are all too short. Liam Plunkett is the 9/4 jolly and he is, at least, the rightful favourite. But on our spreadsheet he cops in line with a 3/1 shot. Mark Wood we have a soft spot for because it is possible that Scotland have rarely faced anyone with such pace. And with the majority coming in cold from club cricket he could have a field day. The 7/2 is half the price it should be, though on his record.